What made Van Gelder’s albums so amazing, his skills so in-demand? Hear for yourself, in the incredible playlist below featuring 508 hours of music recorded by the man. (Need Spotify? Download it here.) We can also let the engineer—who died at his New Jersey home and studio at 91 last Thursday—tell us himself in rare interviews, and demystify some of the intrinsic properties of the recording process. 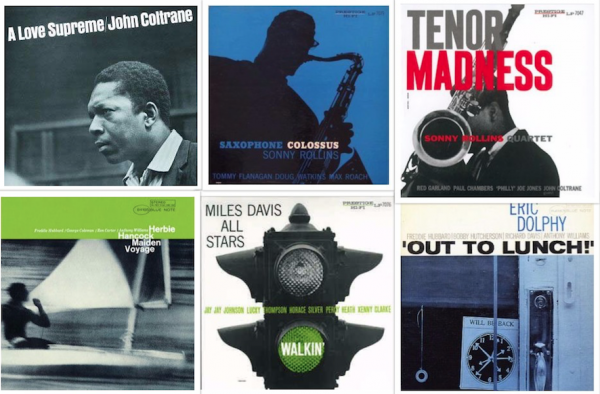 “When people talk about my albums,” Van Gelder said, “they often say the music has ‘space.’ I tried to reproduce a sense of space in the overall sound picture.” His use of “specific microphones” located around the room to create “a sensation of dimension and depth” show us that recording isn’t simply reproducing the sound of the instruments and players, but of the space around them, which is why studio owners spend millions to build acoustically treated rooms. That same studio in Van Gelder’s parents’ living room is the one to which Monk paid homage in ’54. Not only that, but like many of today’s self-taught home engineers, Van Gelder “was involved in every aspect of making records, from preparation to mastering.” Which goes to show, perhaps, that maybe great engineering, like great musicianship, isn’t about access to expensive gear or highly specialized training. Maybe it’s about something else. Van Gelder “had the final say in what the records sounded like, and he was, in the view of countless producers and listeners, better at that than anyone.” How? Aside from vague talk of “space” and “dimension,” writes Tape Op, Van Gelder “never discussed his techniques,” even in an interview with the respected recording magazine. Maybe there really was a kind of magic involved. It would be great if you could post the list as text. Some of us use other services besides Spotify and might like to replicate the list on our chosen services. Only 200 tracks are displayed, which is probably not the whole 500+ hour list! There are playlist converters, like SongShift or Stamp, that you can use to get the playlist on your preferred streaming service.